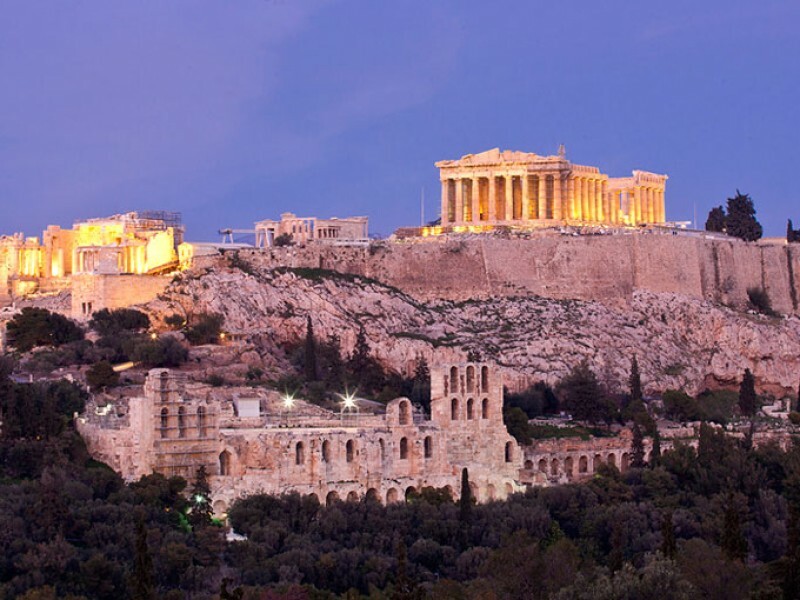 Enjoy an afternoon guided tour to the Acropolis Museum, visit the Cradle of the Western Civilization, the Acropolis of Athens and take magnificent photos of the Parthenon Temple during sunset! 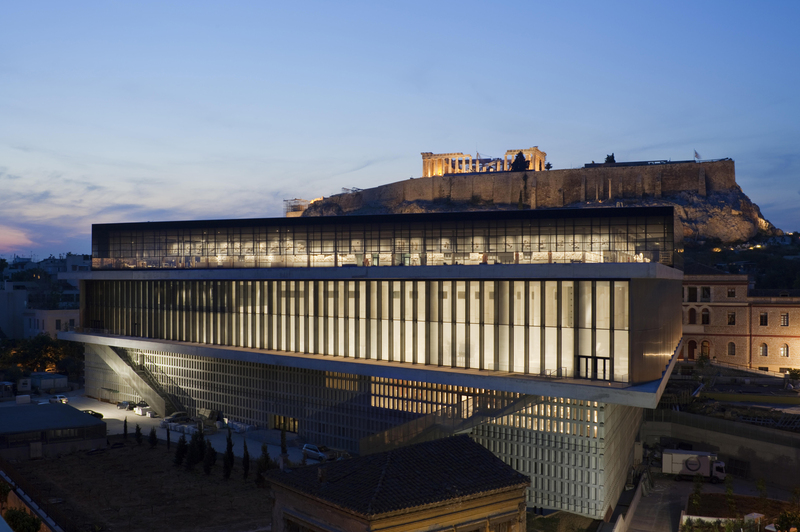 Your tour will start in the air-conditioned space of the Acropolis Museum. Your licensed guide will take you in the different halls of the Acropolis Museum and explain to you the history of the city of Athens and the Acropolis as it is “printed” on the different statues and artifacts. At the top floor, you will have a magnificent view of the Acropolis itself, while at the same time come in touch with the famous Parthenon Marbles. As the sun will start to head towards setting, you will move on to the Acropolis archaeological site, with the first stop to be at the Theater of Dionysus. You will learn about the birth of the theater and its significance in Athens and you will have the opportunity to actually sit on the seats of the 2500 years old theater! At the Shrine of Asclepius your licensed guide will explain to you about medicine as established and practice by the demigod Asclepius and his disciple Hippocrates. A panoramic view of the Herod’s Odeon from above will introduce you to the Roman times and how the Romans blended in the Greek culture. Walking up to reach the top of the Acropolis, the Nike Temple is the first building your licensed guide will explain to you about, while walking through the majestic gates of Propylaia will bring you to the –currently- plane of the top of the Acropolis. 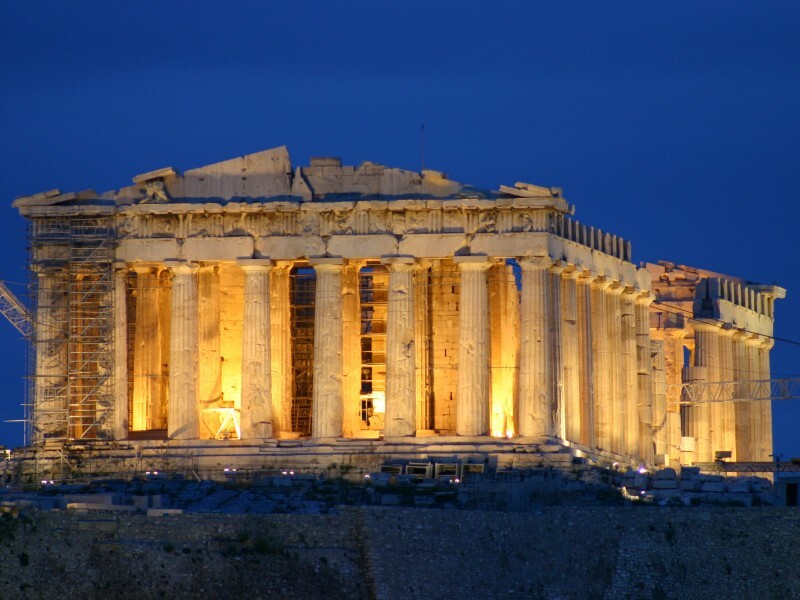 The Parthenon Temple, the Erechtheion, the collapsed Venetian tower and all other monuments of different eras will all be explained, revealing in front of you a big part of mankind’s history! 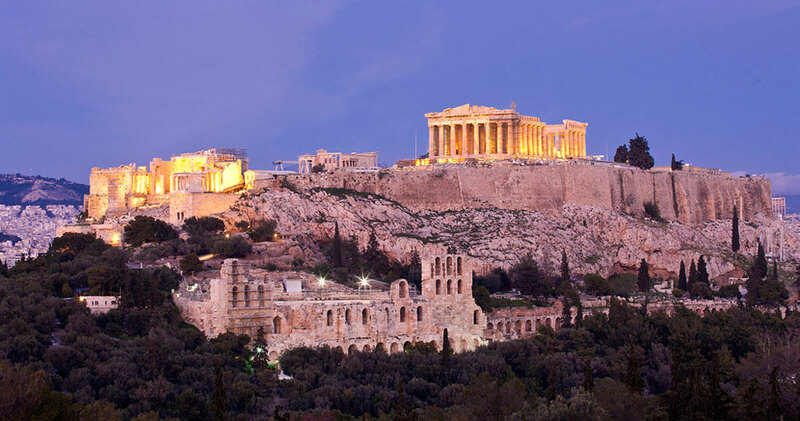 You will complete the tour with free time to take magnificent photos of the Parthenon Temple and the city from the top of the Acropolis, while the sunset will paint the sky with beautiful colours creating an extraordinary canvas for your photos! Entrance fees are not included in the price. During the Summer season the tour starts at 3.30 pm from the Acropolis Museum to avoid the summer heat and crowds. 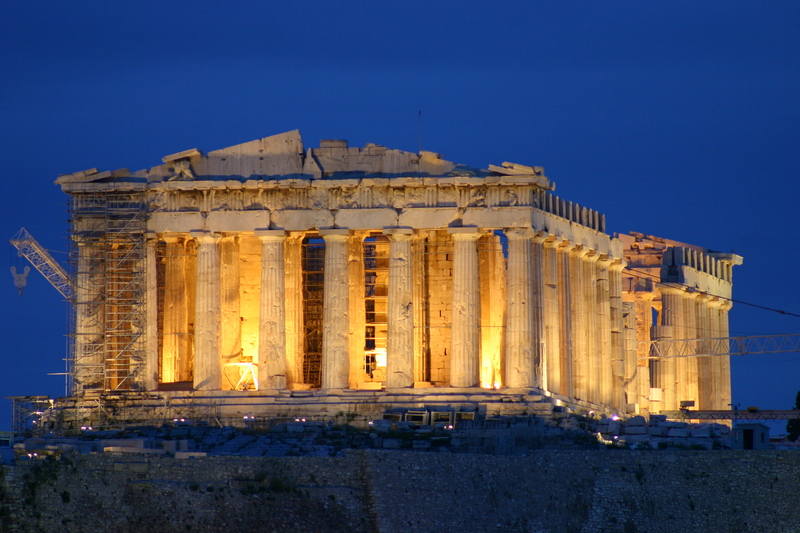 We continue our tour to the Acropolis to admire the magnificent views from the Sacred Rock. You will meet our licensed guide at 3:15 pm INSIDE the Acropolis Metro Station just before the validating ticket machines. He or she will be holding the TravelOrama sign in order to identify them. The tour starts at 3:30 pm. During the Winter season the tour starts at 1:30 pm from the Acropolis, due to the fact that the sun sets earlier and the last admission is at 4:30 pm. 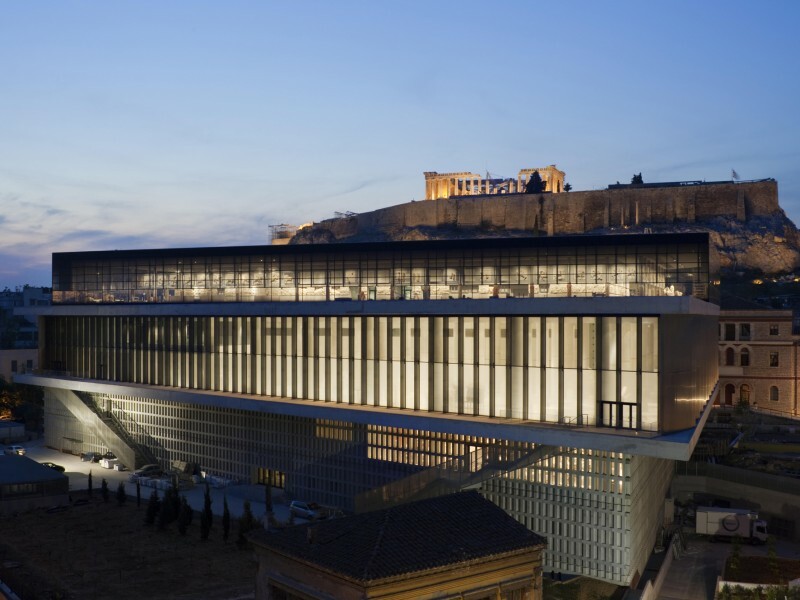 We continue our tour at to the Acropolis Museum where the Acropolis masterpieces are displayed, in the most idyllic interior atmosphere conditions, with natural lighting and sensational view of the city. You will meet our licensed guide at 1:15 pm INSIDE the Acropolis Metro Station just before the validating ticket machines. He or she will be holding the TravelOrama sign in order to identify them. The tour starts at 1:30 pm. The tours do not take place on the following public Holidays: December 25th & 26th, New Year’s Day, Easter Sunday, May 1st and March 25th, the Greek Independence Day (October 28th). Once your booking is confirmed, we will send you an e-mail with the meeting point details. Reduced entrance fee: 10 € (for students with current student identification card & people over 65 yrs old). Reduced entrance fee: 3 € (for students from non-EU countries with current student identification card, teenagers under 18 years of age, from non-EU countries, with current identification card to confirm age).